One of my favourite coloured cymbidiums. A yellow, small standard which has bright red spots, blotches and stripes on it. 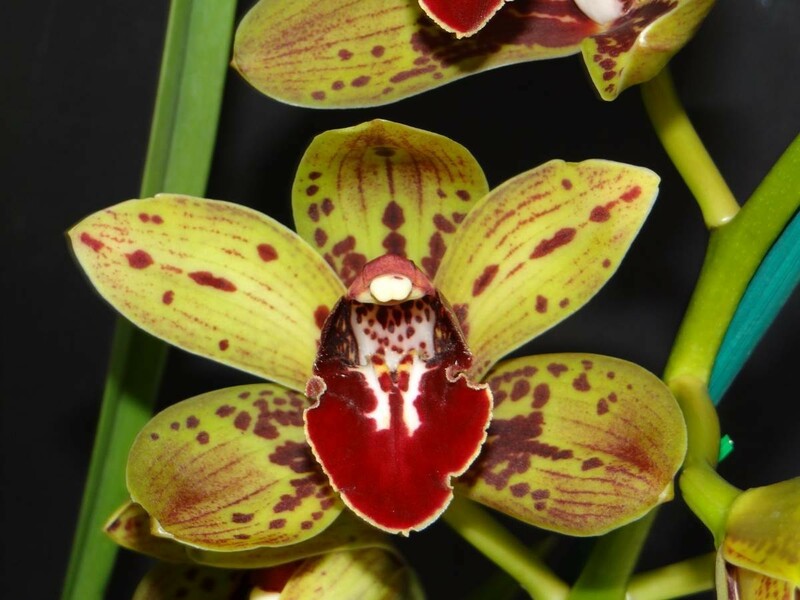 Another outstanding feature is it has a very heavily banded in bright red labellum. I think this orchid is also a tetraploid. The only one that occurred out of the diploid breeding. Mid season blooming.